As iPhone users go, I'm one of the purists. I much prefer going caseless to retain the integrity of the design, and since I'm quite careful with my belongings, I'm not too worried about damage to my phone. That said, I do want my phone to last over two years before having to shell out for another, and a little voice in my head tells me that's not possible unless I cover it up. The challenge then was to find something that's functional yet aesthetically pleasing. What always surprises me is how incredibly challenging that is (think shopping for heels. Ugh). Existing iPhone cases either look clunky (Otterbox being the perennial favorite) or basic (the $5 variety on Amazon), so I was glad when I finally found something I liked – believe me, it was a journey. Ullu products are hand stitched and hand finished, and come in a variety of leathers and delectable hues. I was sorely tempted by the ostrich leather material but couldn't justify the spend ($225!). Instead, I opted for the Grain Leather Snapon Case in Sun Ray ($55), a bright yellow to brighten up the currently moody winter. I knew I made the right choice when the case arrived in the mail. 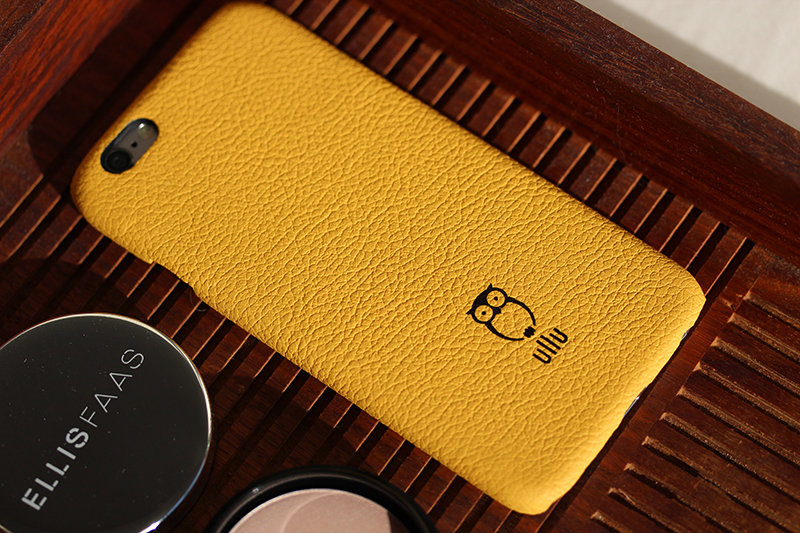 The grainy texture of the leather is pleasing to the touch and lends the case an air of sophistication. It is as sleek as an iPhone case can be, adding such little bulk to the phone that it only took me a day to get used to the widened grip. The case is fitted very well to the phone and is pretty hard to remove once it's on, which is a good thing in my books. One of my pet peeves with cases is flimsiness and it doesn't look like this will become loose over time. Overall, highly recommended. Visit ullushop.com for more. Much hullabaloo has been made of the limited edition Guerlain Météorites Perles De Blush from the Spring 2015 collection, and why not? 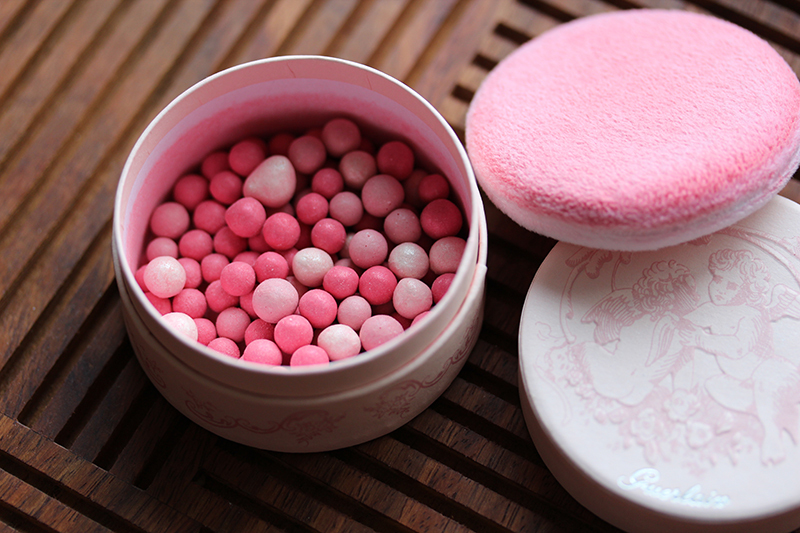 For those of us who are familiar with the magic of Guerlain's ethereal météorites powder (more affectionately termed, ballz), a pigmented version would only make the most ardent of blush collectors weep with joy. Which happened all over the Internet when these appeared early online and at counters. For full transparency, I bought this because I am a longtime fan of Guerlain powders and view this as a collector's item. I think it's ridiculous that it's $53 (!!!) 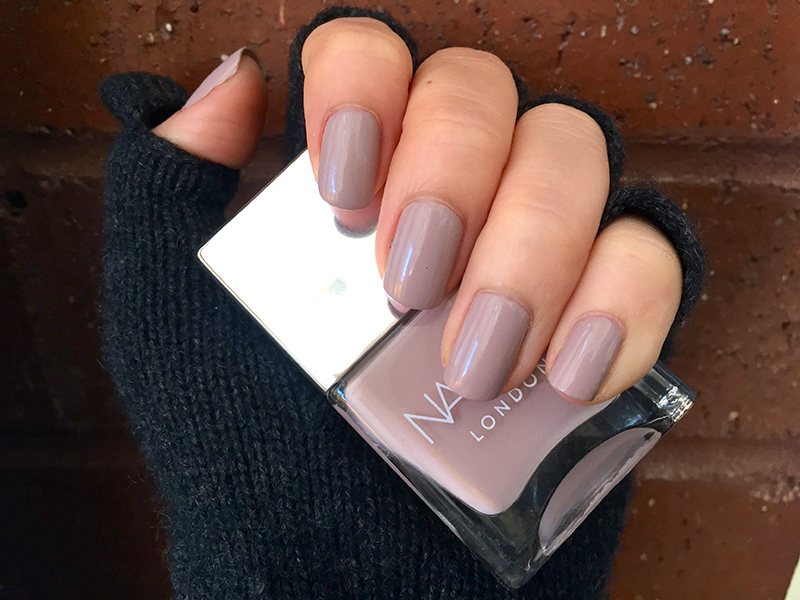 for a measly 0.45 oz / 12g of product, even though yes, it's super pigmented and you really don't need much at all. The fact that it's in a flimsy-ish cardboard box doesn't bother me so much because it was probably an aesthetic choice, but I agree with Liz from Beauty Reductionista that they should have added a handle to the puff to help us get it out of the way. After all, they've done it before. All in all, I'm saying this is not a product with good value. It's not even that easy to use or travel-friendly. It's a sit at your vanity and protect from everything (liquids, drops, less gentle hands) kind of item. The blush is super pigmented, so the perfect brush to use would be something like the Suqqu Cheek Brush, since it would allow you to diffuse the color and layer as needed rather than start out as a clown. 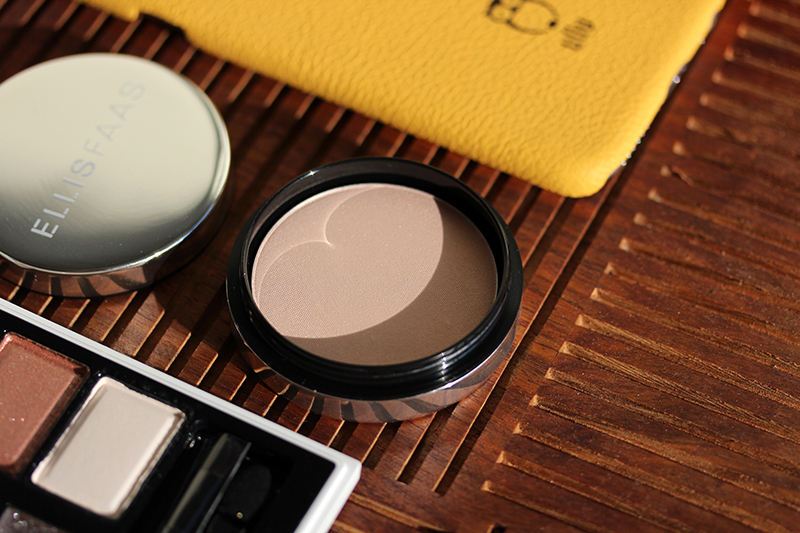 With enough swirling on the cheeks, it gives you a nice blush-from-within glow. Aside: I am currently testing a new skincare regimen from L'Occitane and it has completely exceeded my expectations. In the pictures above, I only needed minimal concealer under my eyes and around my nose and mouth to even out my complexion (eyebrows are drawn in, of course). It is so good – I can't wait to share it with you when it launches officially. I also had a little help from the new Ellis Faas Glow Up highlighter. I suspect the shade I received for review (Porcelain Glow) is a tad bit too light for me, because on perusing the site I found that Satin Glow would work better for my skin tone. Nevertheless, this highlighter is a fine piece of work. Most of the highlighters I own impart glow through noticeable shimmer, whereas Glow Up is so finely milled that I can't detect any, but retain the luminous effect when I apply it to my skin. It's perfect for those who are hesitant to pick up luminizers from the likes of Bobbi Brown and Cle de Peau for fear of it being too "glittery." 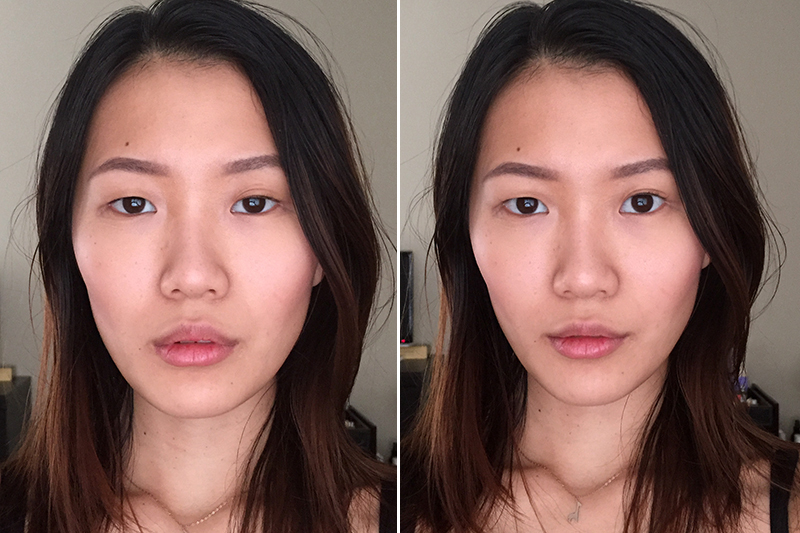 In the pictures above, I applied Glow Up to the high planes of my face (along the bridge of the nose, above the cheekbones, on the brow bone, cupid's bow and chin). Ellis Faas Glow Up is sold as a refill ($31.50) and the accompanying holder is available at an admittedly hefty $35. The holder is sturdy, houses a mirror under the cover, and is certainly necessary if you intend to include this in your travel makeup bag, but if you own Z Palettes it might make more financial sense to only purchase the refill.